All Pro-Ears models of electronic hearing protection/amplification muffs feature the cornerstone 'DLSC™' Dynamic Level Sound Compression Technology. This superior technology allows the wearer to hear every sound even during high volume noise spikes. Only Ridgeline's 'DLSC' technology protects hearing while at the same time allowing the wearer to hear lower volume sounds such as normal conversation. 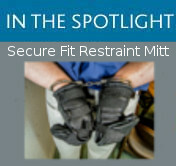 The wearer will hear everything, including conversation, while simultaneously being protected from dangerous, high volume sounds. Not only do Pro-Ears feature the most advanced, sophisticated electronics in the industry, we have also proven ourselves in the Industrial arena. 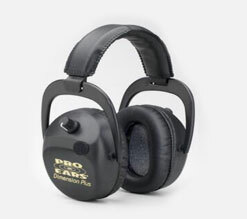 When thoroughly evaluated by independent testing laboratories, Pro-Ears Electronic Hearing Protection / Sound Amplification products excelled and were Certified MSHA 2G-4108 and ANSI / UL 913 for Class I, II and III, Div. 1, Group A, B, C and D Hazardous Locations. Pro-Ears offer the fastest 'Attack Time' in the industry - 1.7 milliseconds. 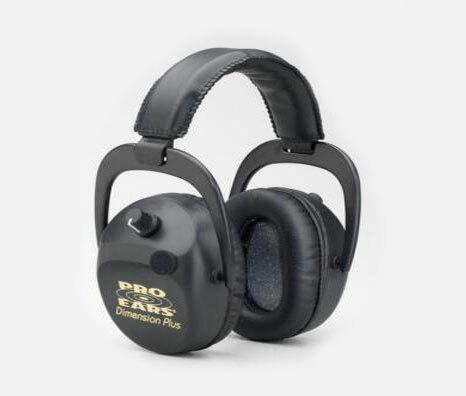 Pro-Ears fold up design makes them easy carry and store. Pro-Ears batteries offer a minimum 200 hours of use. Pro-Ears are quality made in the USA by Americans. Pro-Ears Dimension Series come with a no-nonsense, 5 Year Warranty. Group A, B, C and D Hazardous Locations. Pro-Ears have been chosen by all branches of the US Military.